I have a Schedule C/C-EZ present in view after deleting it in Data Entry. How can I stop this from being created? 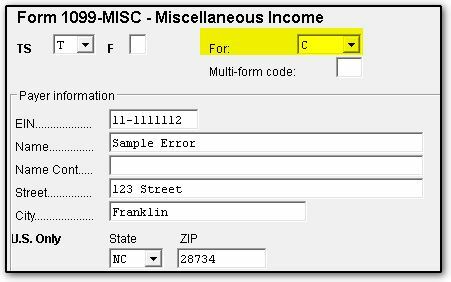 If you have a return that continues to create a Schedule C after it has been deleted in Data Entry, it is being generated as a result of entries that are present on the 1099-MISC. If this issue is occurring, view the return and select the Schedule C/C-EZ. When you select this form, view the Business Information section at the top of the form and review line C Business Name. Delete the 1099-MISC by pressing CTRL+D if applicable. Complete the 1099-MISC as applicable. ​Note: If you complete Step 1 or 2 above, you will need to delete the Schedule C screen that was created in Data Entry before viewing or calculating the return.